The original compositions for HEALING are now available for download on iTunes. The score is composed by Peter Valentin; the vocals are performed by Ulrike Valentin. Ron Pieris says, "Everyone who comes is healed. Physically, it's when their time is due to heal, and people can control that. But spiritually... Everyone gets a spiritual healing if they come just for one session at the Casa. When you make the decision to come to the Casa, you are actually saying to the entities, "Spirits of light, I need your help." And when you come, the minute you buy your ticket to get on the airplane to come here, they are working with you. Everyone who comes receives a healing spiritually, which is a healing for the mind, body and soul. They receive that without even knowing." "My name is Dr. Rick Sheff. I am a doctor. My background includes that I did my undergraduate work at Cornell University, I studied philosophy and politics at Oxford University and went to medical school at the University of Pennsylvania and did my family medicine residency at Brown University. I work with hospitals and physician leaders from all across the United States on the challenges we face in health care today. I consider my self a scientist and skeptic. I am not only skeptical of what might be going on here at the Casa in Abadiania, but also what we believe conventional science teaching us. I would like to share some thoughts about the physical surgeries. Frankly they get a lot sensationalism and attention. They do force us to rethink how the world works. These physical surgeries are very rare compared to the other healings that are going on on an energetic level. There is no need for a physical surgery. A thousand or more people may come through the Casa on any given day. They are having physical healings that cannot be explained away. I have personally had a healing here. I've had multiple healings. I have prayed for healing for my son. And even before I left here, the first time I came to Abadiania, I witnessed that healing begin in my son who was thousands of miles away. And I can't explain that. But I'm deeply, deeply grateful for it. What is happening here, at the Casa, in the work of John of God, is profound and powerful but the phenomena that are being witnessed here are not in isolation. We now have scientific studies that confirm that prayer works for healing, even when the person being prayed for does not know that they are being prayed for. We have scientific studies that a prayer expressed over water changes its molecular structure. This is data, these are data points that cannot be reduced to the science we have today, to our paradigm today. Scientists at the end of the nineteenth century were bemoaning the fact that all the major scientific discoveries had already been made, and what was the future of science without more scientific discoveries. We should not fall into that same trap. It was just twenty years later that Einstein showed the world that time and space are not as we thought they were. What else is not as we think it is?" 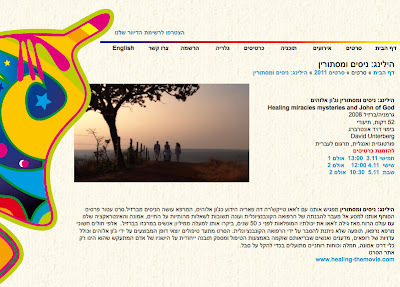 For your and our friends in Israel: HEALING has been invited to the Spirit Film Festival and will screen on November 3, 4, and 5, 2011, at the Cinematheque Tel Aviv. For tickets and more information on a really inspiring line-up, see the festival's website or Facebook page. In the film, a reporter is asking John of God, "How is it possible to heal so many illnesses and to carry out hundreds of indiscernible operations at the same time?" John of God answers, "God is the creator of everything, the source and the strength. With his power, everything is possible, without restrictions. I have doctors and medicine around me to heal with this mission, and all the questions about how it is possible can only be answered - with God's strength." Later, he continues this thought and says, "I send a lot of light to all people around the world who believe in love, in peace, in nature, and in harmony. God is our father and we must believe and trust in him. God is healing and the medicine." The Dalai Lama, when asked what surprised him most about humanity answered, "Man. Because he sacrifices his health in order to make money. Then he sacrifices money to recuperate his health. And then he is so anxious about the future that he does not enjoy the present; the result being that he does not live in the present or the future; he lives as if he is never going to die, and then dies having never really lived." In a little over two weeks, from September 26th to 28th, John of God will be at the Omega Institute in Rhinebeck, New York. Some of you have been attending his annual appearance at Omega before; Marryn Jose of PS Magazine wrote this report about the 2007 event, and on YouTube is a picture slide show of the 2009 visit. 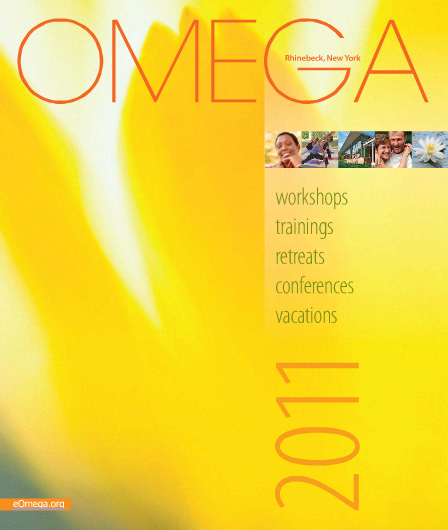 For 2011, the enrollment so close to the date is very limited, but call Omega (877-944-2002) to find out more. 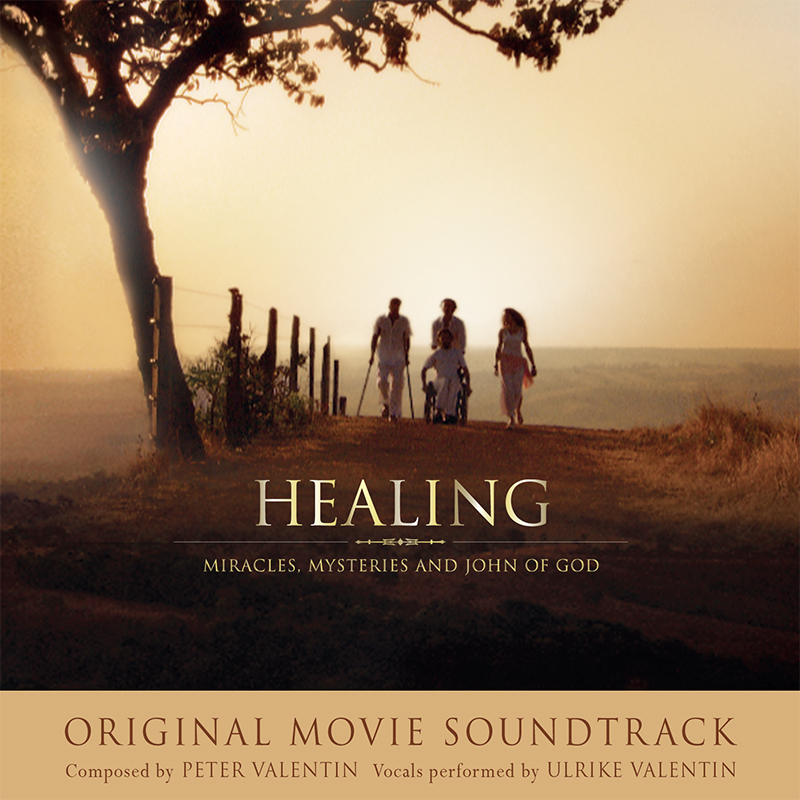 Composer Peter Valentin put together excerpts from the HEALING score, and David Unterberg and Matthias Weiss created this video to share with you. If you like the score, stay tuned, there will be more. 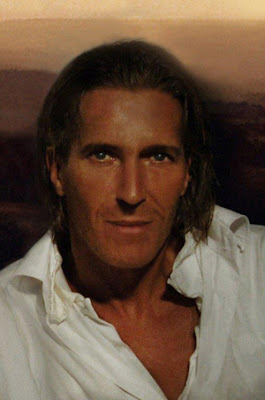 To read about Peter and the HEALING music, click here. 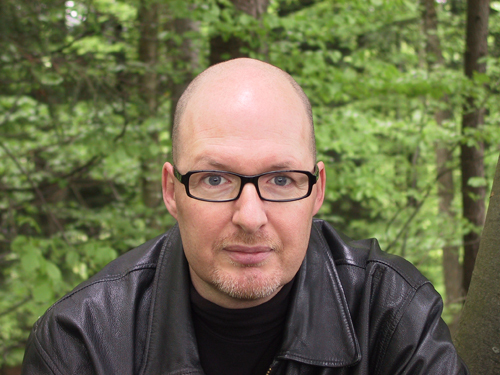 David Unterberg was asked if the experience of making HEALING changed his beliefs, and he said, "I realized how much we are connected with the spiritual world. It really doesn't matter if we are aware of this, or not. The spiritual world does have an impact on our lives, both in positive and in negative ways." "Negative entities are all over. It's not a negative energy, it is what they do with the energy. They do negative things. People do negative things. They create negative things. Watch some of the horror movies! You can see how people can create negative things with negative thoughts. The moment the negativity starts, you start thinking it. If you don't want that energy around you, you have to make sure that you don't allow it by latching on to the negative ideas that they bring to you. You don't have to accept it. The only way that I know that you can really get rid of it, is to use some kind of prayer to move it away. I don't want it. I don't want any negativity around me, or in my life. And a lot of people don't know what is negative, they've been doing it for so many years. They think that killing someone, or thinking of killing someone, or telling a lie on someone, or stealing or robbing, is negative. But you can think negative and create negativity." How did you get involved with HEALING? I first met director David Unterberg in 1997, when he was filming an open air theater event, "Half the Horizon," a piece for aircraft and dancers, for which I had written the score. But I already knew of him from his work as adventure and extreme sports filmmaker. 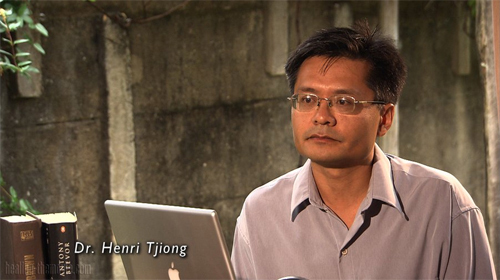 And so you can imagine my initial surprise when he contacted me for his documentary about John of God. It's interesting to see how closely related spirituality and adventure can be, both pushing up against conventional borders. How did you start to develop the score for HEALING? From the get-go, David wanted me to compose vocal music, to be performed by my wife, Ulrike Valentin, whose voice he knew and loved. And it was important to David that an Ave Maria is included, since Maria does play a prominent role in the Casa. Ave Maria (Vergin tutto amor) is what is called a "Preghiera," a mournful prayer filled with both, humbleness and hope. I used this as a clue in finding the overall score. I tried to express musically what I see in the faces of the people in HEALING, people who talk about pain and suffering, but also their trust, faith, and their deepest wishes. For this, the voice as instrument is especially suitable. But there are also moments in the score that underline the atmosphere in the film through repetition and minimalist reduction of musical motifs. I've composed numerous pieces for my classically trained wife, and each time the collaboration is especially wonderful for both of us. I love the sound of her voice and she understands my music in a unique, intimate way. My wife is also the one person in the world who first hears and talks with me about each and every piece of music I compose. Which in your versatile body of work is among your favorites? My work allows me to express myself musically, and again and again, this gives me a profound sense of happiness. I like composing for symphonic orchestras as much as for just a hand full of instruments, but my favorite moment is when the written music is performed, and spontaneous sparks fly. Presently, I'm scoring a theater project, which will premiere next year, and I'm working on a feature film. And I'm also putting together the HEALING soundtrack CD, to be released sometime this year, so please stay tuned. Annemarie Keller, MD, wrote this review about Healing: Miracles, Mysteries and John of God. It seems humanly impossible to resist the allure of this beautiful, raw and honest film. The more you watch it, the more your fascination and understanding of the subject matter grows. 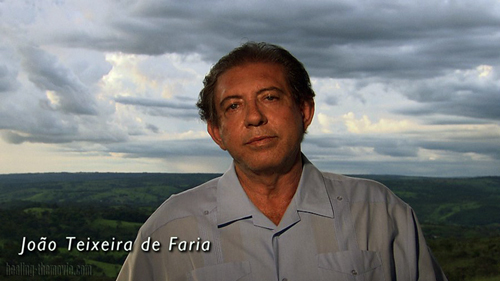 The film fully reflects the spirit of the healing place Casa de Dom Inácio, in Abadiânia, Brazil. It inspires awakening and healing for the viewers and allows them to be touched by truth, goodness and healing. 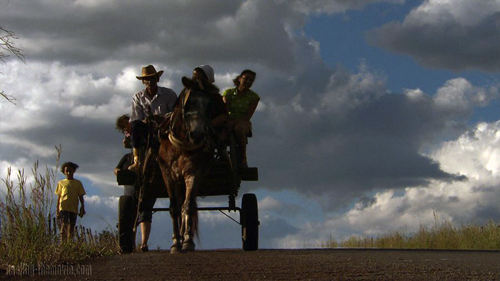 This film should become a guiding light in the way Ignácio de Loyola's birthplace has been for decades. I'm certain it has the power to touch many lives. 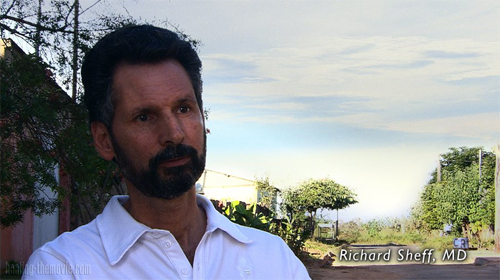 HEALING is a well rounded insight to the Casa and the work of John of God. It starts and ends with reflections on the life of Ignácio de Loyola who, as a warlord, was embraced with the spirit of God and put his whole life at the service of mankind. He abandoned his earthly possessions and laid down his sword upon the Altar of God, as a sign to end his life as nobleman and warrior. He chose instead to walk the path of a noble warrior of God and help people to follow God - healing bodies and souls along the way. 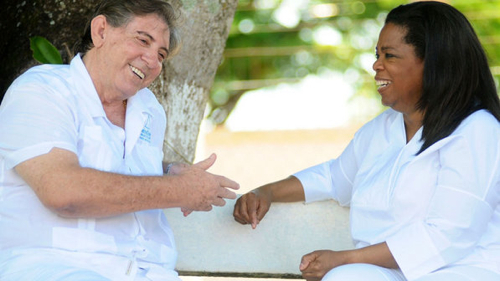 Ignácio de Loyola is the patron saint of the healing place in Brazil, where extraordinary medium João de Deus and his earthly helpers do their astonishing work. May everyone who is viewing this film be enlightened and join those wanting to live in the spirit of God, by the belief: "Love God above all, and your neighbor as yourself." "No one should feel pain. I can't judge an individual and say he's not being truthful when he says he feels a lot of pain. But I know from my personal experiences that people can create their own pain. Of course, when you're having surgery at the Casa, you don't have to be a believer in anything. But some people force their beliefs on themselves and bring about something that would normally not have occurred. They may go into the surgery with the thought that there's no such thing as not feeling pain. But I noticed that every now and then some person will make a loud noise, but they didn't really feel any pain and as soon as he's finished there's no pain. If you go into a hospital and have surgery, you are going to have pain for days after that surgery. So they don't have that experience, they don't have pain for days after the surgery, and infections and all of those things, they don't have all of that." 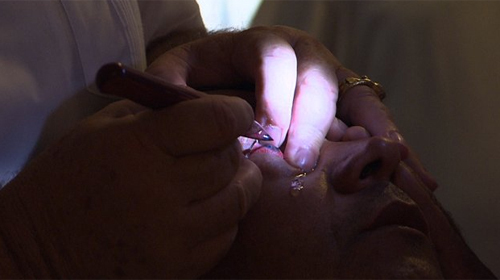 Director David Unterberg says, "To me it was surprising that physical surgeries, as opposed to spiritual interventions, didn't take place very often; but when they happened they were performed with unsterilized scalpels, and without anesthesia, but didn't cause pain and the wounds healed in no time. Only patients who specifically asked for physical surgeries received them, but even then, their healing process was far more spiritual." "You can either hear about it and it passes you by, or you can hear about it and it calls to you," says O Magazine editor in chief Susan Casey. 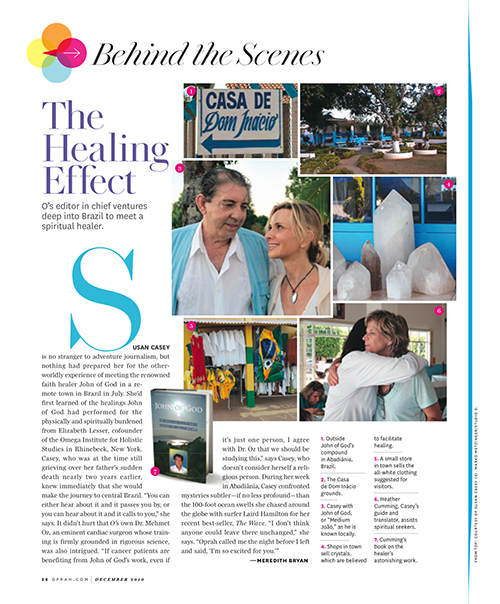 Susan wrote an excellent article about her visit to John of God for the magazine, and was talking about her experiences in Oprah's Do You Believe in Miracles? show, which featured excerpts of HEALING. "What I have to say is about my favorite subject, Medium Joao and Don Ignatio, and this group of helping spirits that works through John of God. This extraordinary man who comes from a very very humble background and who has devoted his life to serving humanity, to serving God, with extraordinary compassion, humility, devoted to serving his mission. I have immense respect of him, as a man, and immense respect for him as the healer that he is. And, of course, immense gratitude and respect for the entities of light who work through his body, through his instrument to create healing, to help us emotionally, to guide us, to open our hearts so that we can be more compassionate and loving people." 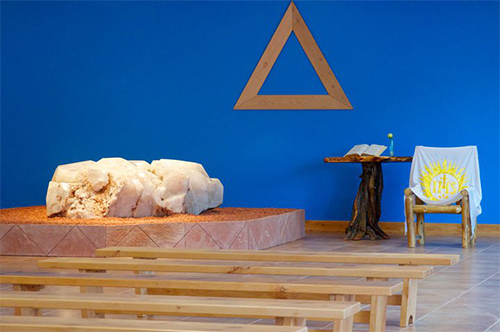 The John of God Casa is nestled in the Red Rock mountain range of Sedona, between Phoenix and Flagstaff, in one of the most beautiful and magical areas of the United States. On weekends, from 9:30 AM to 3:00 PM, locals and tourists can visit the Casa, which is open for everyone. It's a quiet but powerful space where people soak up energy, meditate, come for healing, love and comfort. Monica Evon, who runs the Casa Sedona, has been to Brazil many times, she also works with Sacred Light Tours and brings people to John of God. She is around to answer questions and to give support. This huge 4-ton crystal has been transplanted to the Casa in Sedona from Brazil. Monica said it has been changing colors over the past year, from white to a pinkish hue as it takes on the qualities of love and compassion. It's a female crystal, whose male counterpart will arrive at the Casa in the next few weeks. 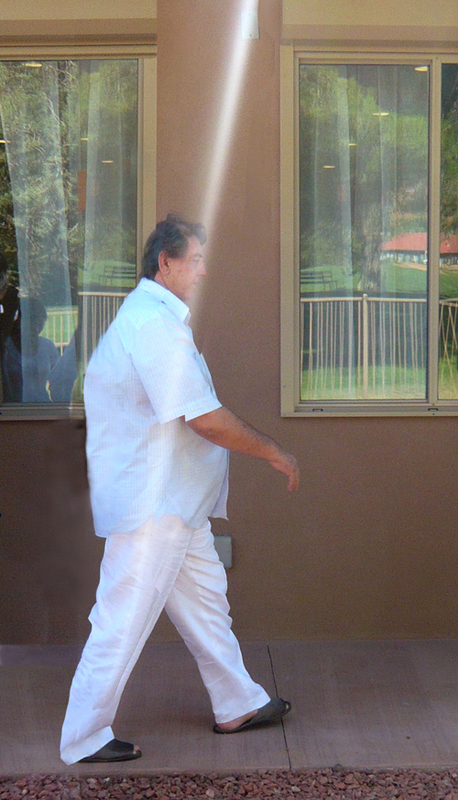 John of God visited the Sedona Casa in October of 2010 to bless the building and place the crystal. He would very much like to return and may plan another visit next year. The Current at Casa Sedona is strong and noticeable. Visitors feel the effects of this special energy. Monica explained that the physical presence of Medium Joao may help us focus and believe, but the Entities and his energy are present, whether we see him in front of us, or not. For more, visit the website and Facebook page of Casa Sedona, and don't miss out on this very special place. "From the first moment, the first scene in this film, you are carried into the spiritual world of The Casa and John of God. By the end of the film I was captivated by the man and his life of Service to others. An excellent film! I have viewed other films that attempt to capture the hope and anguish of the people who line up at the Casa, but this is the first film that shares their faces, and their stories so deeply. There are a few short scenes that share the physical surgeries in detail, but fortunately most of the movie focuses on the spiritual healing and the testimony of everyday people. By the end of the movie I feel blessed to have experienced his story, and wondering how I can be more of service in my community. This film does not cover details on how the Casa operates. There are several informative books and websites that cover the details."